artfour is located in the south of Germany. one might get the impression that this is simply too far away from the United States? at this point we could talk for hours about our understanding of customer relationship but that is just boring. 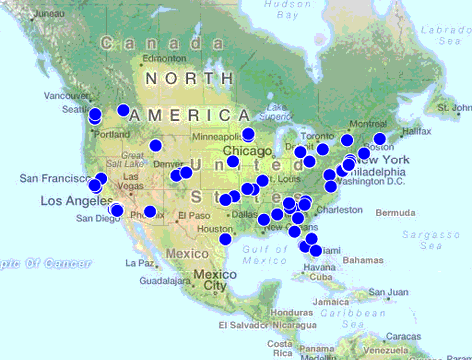 instead of that we show a map with the locations of all our US customers in 2014. take a look; perhaps one or the other of your neighbours has already bought antiques at artfour?